40 individuals. 3 teams. 2 continents. 1 unified coverage number. NCover is an essential tool for identifying where you can improve your tests, and your code, as early in the development cycle as possible. Effective tests are critical for delivering high quality code, reducing risks and maintenance costs, and increasing customer satisfaction. NCover is vital to ensuring your code is thoroughly tested. 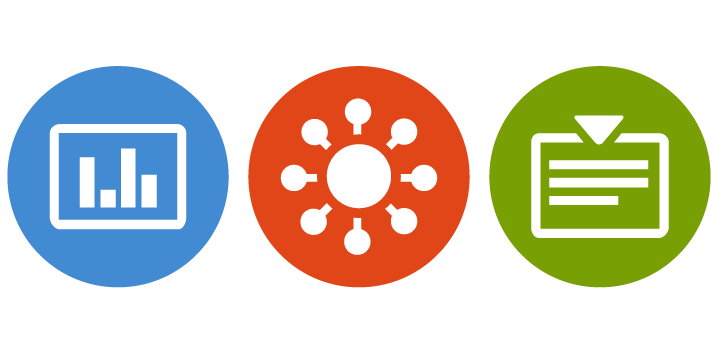 As a member of a team or a manger, NCover provides members of development, QA and management the tools they need to manage and deliver reliable .NET applications. Well written code and well tested code is the result of well managed code. NCover provides your team with both the big picture and the small details. Managers are able to see project overviews at-a-glance, see team wide trends, and can drill down into the details when needed. Developers and QA members can log-in from their desktops, and view not only how they are doing, but how their entire team is trending. 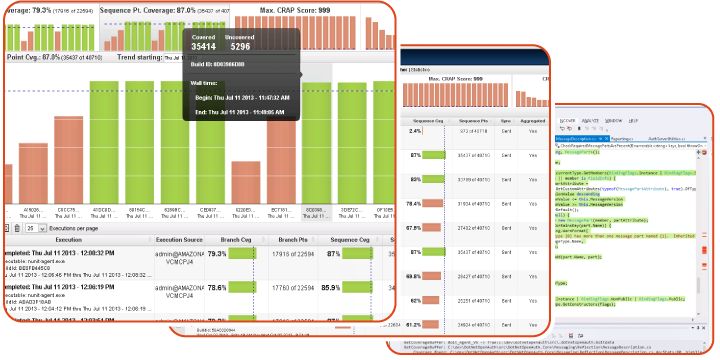 Code Central serves as the hub for the team's code coverage, aggregating coverage across projects, teams and, if desired, an entire organization. Start with a unified coverage number and drill down to the source. NCover's solution is unique in the industry in its ability to provide managers and teams with a powerful and useful solution to manage the ongoing quality of their .NET applications. NCover Desktop provides unsurpassed performance and insight into your coverage. NCover Collector extends coverage to your QA team as a background service. 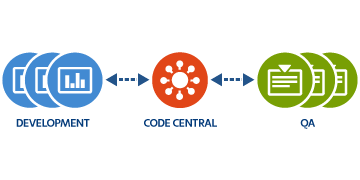 NCover Code Central provides a central hub and allows for a unified development and QA number across an entire release. NCover helps you reduce risk and meet your deadlines when delivering .NET applications.